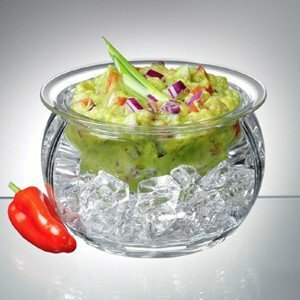 Acrylic upper dip bowl (16 oz.) nests inside stylish lower acrylic ice bowl. Place cubed or crushed ice into lower bowl and position upper dip bowl so it makes good contact with ice. Dips stay chilled and fresh for hours.